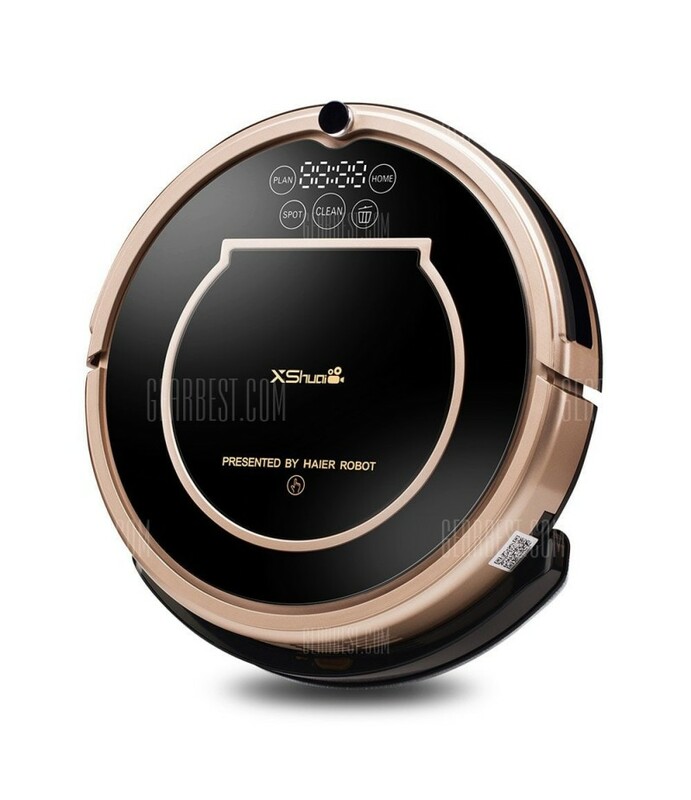 XShuai T370 Robot Vacuum Cleaner with Siri and Alexa Voice Remote Control Wi-Fi Connected Self-Charging Gyroscope Navigation 1500Pa Powerful Suction HEPA Filter Pet Hair & Allergies FriendlyNotes:1. The product is for indoor u..
3. If the machine is not in use for a long time, please turn off its power switch. 4. Please clean up the dustbin and the suction channel after cleaning every time. 5. Do not make the product clean cigarette butts or matches that are not extinguished. 6. After the battery is replaced,the new one shall be charged above 6h for the first time. 7. Do not use the product to clean sharp objects like glass or nails to avoid damage to the product. 8. This product shall be stored in the ambient temperature range from 0℃ to 40℃. XShuai is the only one that supports Siri control. Your instructions can be delivered through Siri, let T370 start or end cleaning, and even make it charge, convenient and interesting. Equipped with a 260ml crescent-style water tank, 1500Pa powerful suction mechanism and sweeper brushes, T370 is able to sweep (dry) and mop (wet) individually or simultaneously, depending on your needs. Z-Shape: T370 automatically navigates in a methodical pattern, making sure it covers every area of your unique home. Spot mode focuses on removing stubborn stains with repetitive cleaning. Edge Mode gently cleans wall edges and into corners. Plus, you can also manually control T370 or let it perform a random cleaning. 1. Sweeping, Suction, Mopping, three usages in one machine. You can easily control the direction, choose the cleaning mode or set a cleaning schedule with Siri control，Alexa Voice Control, iOS/Android App, included remote controller. 3. Suitable for wooden floor, ceramic tile, marble, painted hardened floor. 300 large capacity of the dust box can accommodate more garbage, easy to clean up more areas. Installed HEPA can protect you from pet hair allergy. Z-shaped cleaning (gyroscope navigation system ensures it covers every corner of your home), spot cleaning, edge cleaning; capable of manual/ random cleaning; 1500Pa powerful suction; supports both sweeping and mopping. 1500pa sunction can be easy to clean dust, hair, small shreds, etc. Automatically returns to the charging dock and recharges itself when running low on power; works up to 120min (90min for cleaning, 30min for returning to charging dock), covers 100-200 square meters, 4-5h charging time. It cleans under the bed, around the clutter, along the wall side, leaves no dirty spot; installed HEPA protects you from pet hair allergies.